The TABI Tarot Conference is coming up at the end of July. If you’re in the UK, anywhere near Birmingham, you might want to check it out. TABI has put together a great gathering. 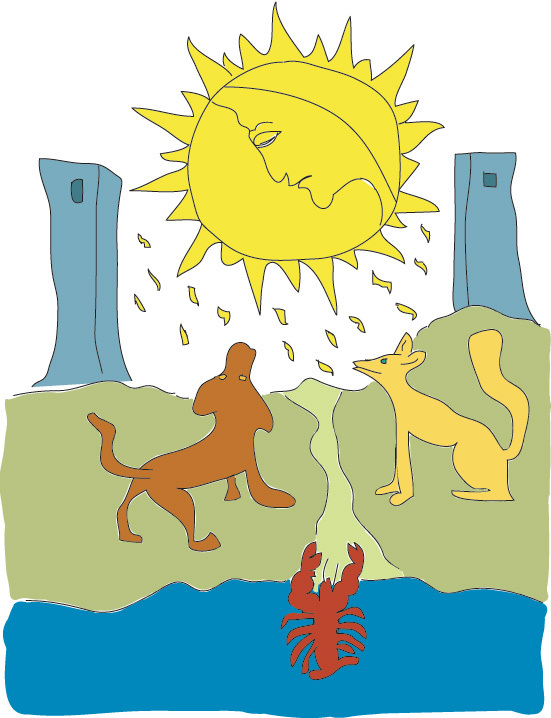 Emma Sunerton-Burl will be teaching ‘Intuition with the Thoth’, as well as a seminar on counseling skills to help with your readings. Cilla Conway will be talking about using oracle decks with Tarot, while John Matthew will be sharing a couple of spreads to use with his just released Wildwood Tarot. 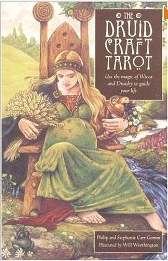 Will Worthington, artist of the Druidcraft and Wildwood Tarots will be there too. 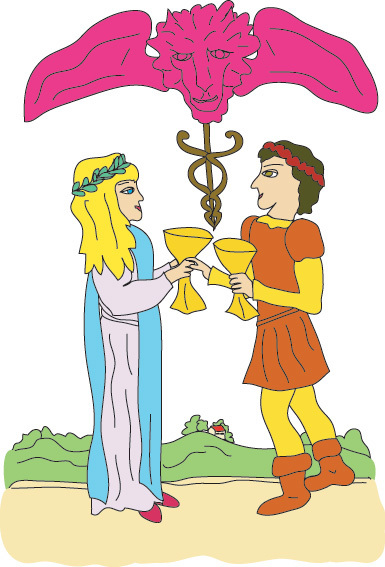 And Mary Collin will be offering advice on how to build your Tarot business. The conference will be held at the Aston Business Centre, Birmingham, July 23rd and 24th. Emerging Visions is an online art ‘zine. Poetry, flash fiction, essays and visual art are all part of the mix. There’s some beautiful work on the site, and archived issues going back through May 2006. Themes vary widely with each issue. From the current Spacing Outward to Jung @ Heart, or Scrying Phantom Seas, they’re all really interesting. A great way to see an art show without having to leave your couch. As they say in their submission guidelines, ‘nothing superficial or formulaic will be considered.’ They’re looking for visionaries. Why not take that as a challenge and send them something fantastic. The theme of the next issue is Mad Magicks. Submissions will be reviewed early in May 2011. 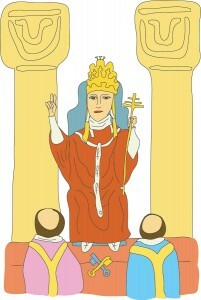 This animated film is not about tarot, has been around since the eighties, and is in Russian. But I wanted to post it anyway. It’s a Russian adaptation of Dr. Seuss’ Cat in the Hat, art directed by academy award winner, Aleksandr Petrov for the Yekaterinburg-based Sverdlovsk Film Studio. Like his American counterpart, the cat in the story arrives at the house of a couple of bored kids. His umbrella transforms into a hat and the magical journey begins. I can’t help but see the cat as the Fool, especially when he starts the whole adventure off by falling off a mountain. It’s great fun. And a good reminder that the very ordinary world can be an extraordinary place with just a slight shift in perspective. If you’re not feeling romantic, take the energy and let yourself simply express how much you care about those around you. It will be most powerful if you tell them one-to-one. Let them know they’re special, it’ll make you feel great too. 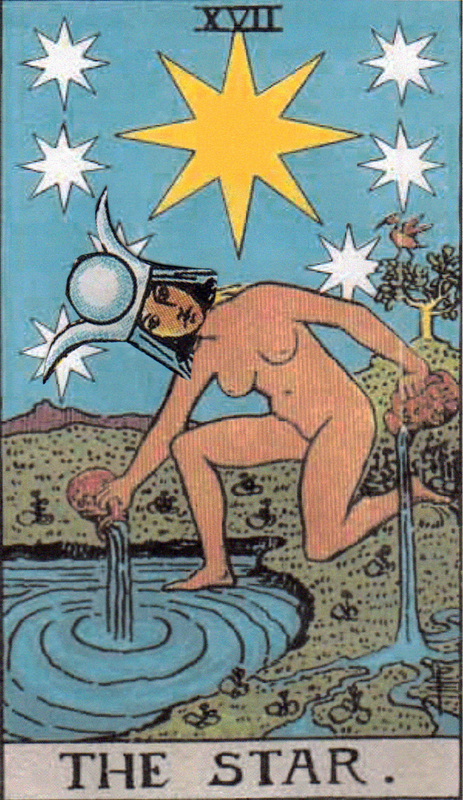 All the bunnies and chocolate eggs I’ve been seeing lately got me wondering how many rabbits and eggs there are in the tarot. So I went on a little hunt. There’s only one rabbit in the Rider Waite Smith deck. 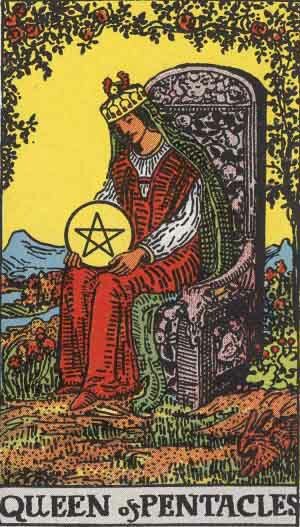 It’s at the bottom right of the card, by the foot of the Queen of Pentacles’ throne. Like the queen of the earth element, rabbits represent abundance, fertility, sweetness and physical reproduction. Eggs also represent fertility, but in its most ideal form. They’re about new life, creation, the seed of all that’s possible. There doesn’t seem to be any eggs in the Rider Waite Smith deck, but what about those pretty coloured rocks at the feet of the Queen of Cups? Maybe they’re not rocks at all, but rather magic eggs the queen of love is waiting for us to discover. Here’s a little spread to see what you might want to hunt for over the next little while. •what are you looking for? •how do you get to it? •what’s the plan when you do? Things might seem a little dark today but don’t despair. It’s always night before it’s day. 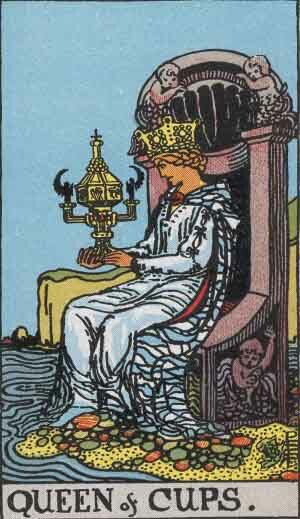 The moon card represents this darkness before dawn. You might be challenged to face your fears, or at least name them so you can see whether they’re really as powerful as all that. Things often seem a lot scarier in the dark than they do the next day. Try taking some time today to really explore those things that you usually shy away from. Psychic energy is especially strong and it will be well worth your while to find some silence and listen carefully to your inner voice. Secrets and mystery, hazy half-truths – they’re all part of the moon’s power. How you feel might prove to be more informative than what you see. Pay attention to the shadows, it’ll be light soon. Take a look at this clip from Moti Mark Zemelman. He’s a dancer, choreographer, photographer, and lover of the Tarot. He’s making a photo deck using dancers as his models. 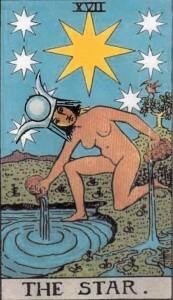 At the moment he’s working on the the 22 major arcana, but hopes to eventually create all 78 cards and get them published. If you’re interested in helping him out, Zemelman’s looking for donations. He’s trying to raise money to pay for dance studio rental, costumes, printing materials, dancers’ fees and framing for a future exhibition of the work. In exchange for donations, he’s offering a variety of very nice thank you gifts. Check out his donation page to see it all. Sounds like a fabulous project. I look forward to seeing it done. 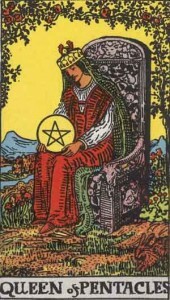 You are currently viewing the archives for April, 2011 at The Tarot Room.